I am giving a talk to the Dumfries and Galloway Natural History and Antiquarian Society on 9th Nov at the Cumberland Street day centre - 7:30pm. 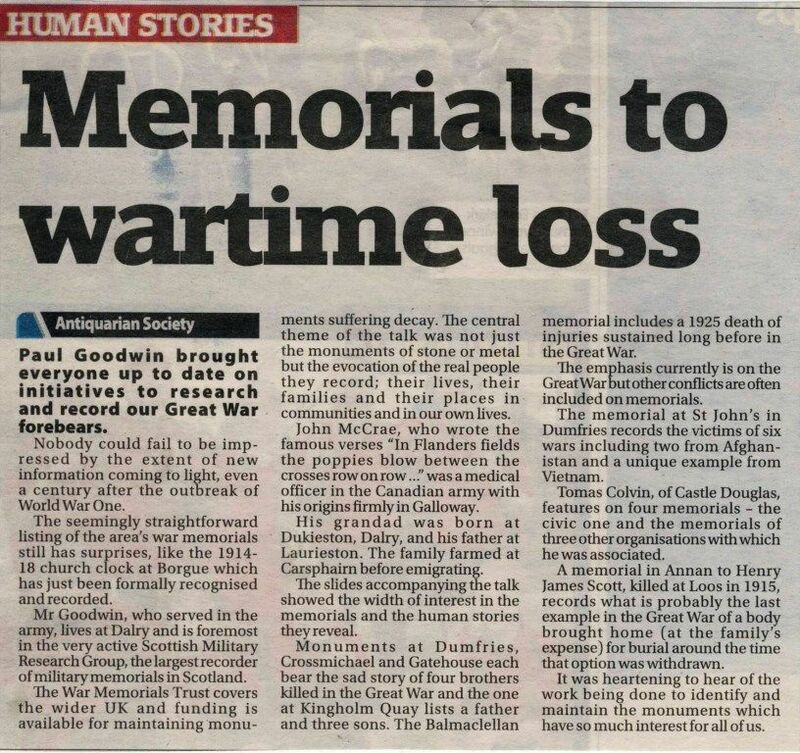 Subject is the War Memorials of Dumfries and Galloway and I will be looking at the development of war memorials from the crimea (Balmaclellan) to the latest Iraq and Afghanistan deaths. I will go on to talk about a few of our lost memorials and current activities including recent books, projects and our activities as we approach 2014. If anyone is thinking of attending, please send me a PM so I can give directions and also I can let the society know I will be bringing a guest.